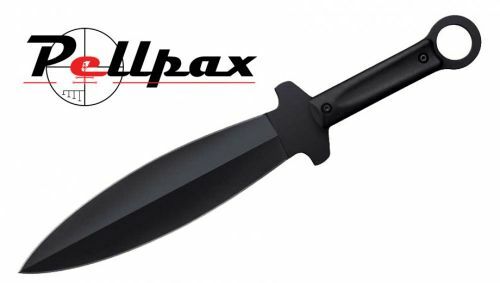 The Shanghai warrior is a huge dagger with a great ergonomic design. It's Huge 9.75" blade has the advantage of being double sided allowing a wider cut with less physical effort required. The Needle thin point allows the Warrior to easily penetrate the materials. The Black Tuff-Ex finish on the blade gives the Warrior a high quality look and helps protect the blade prolonging the overall length. With a dagger this powerful safety and comfort is important. The Handle measure 6.25" in length allowing it to fit comfortably in anyone's hand. The handle's shape incorporates finger guards in to prevent the blade and your hand coming into contact.